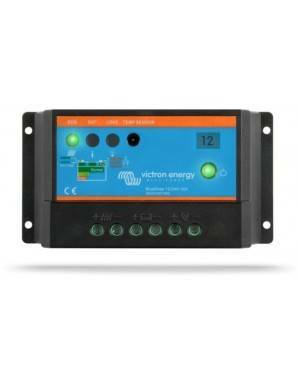 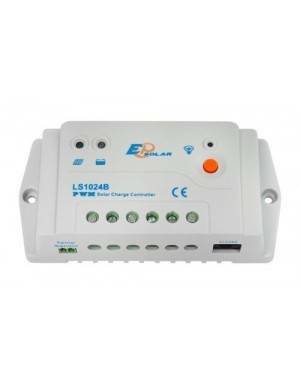 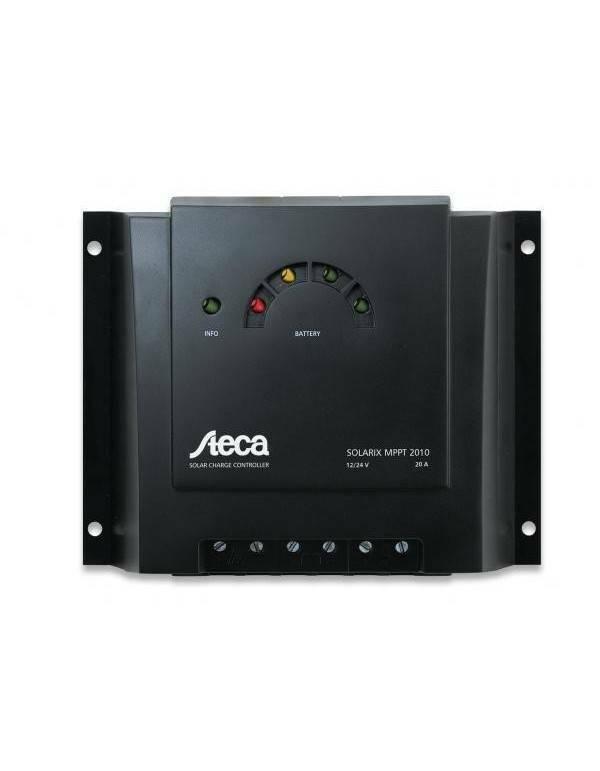 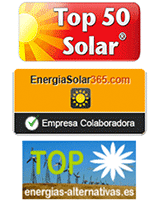 Solar charge controller Steca 20A from Solarix MPPT line with automatic adjustment to 12V or 24V systems. 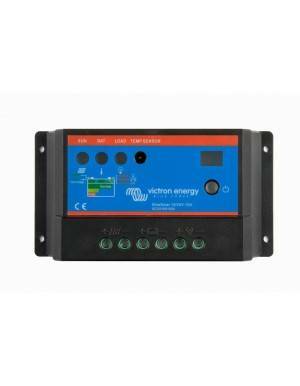 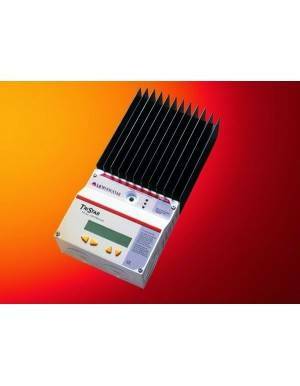 Highly efficient controller with maximum power point monitoring technology (MPPT), especially suitable for use with panels normally used for grid connection. 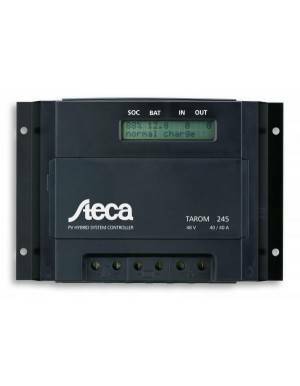 The Steca regulators of the Solarix MPPT line have the latest technology to guarantee full power under all conditions of use, as well as optimal and professional care of the battery pack, all with a modern finish and outstanding protection functions. 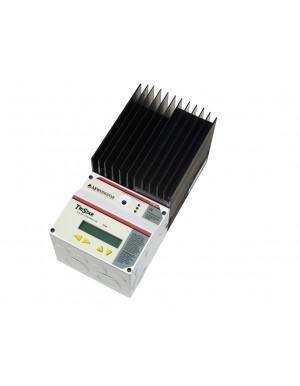 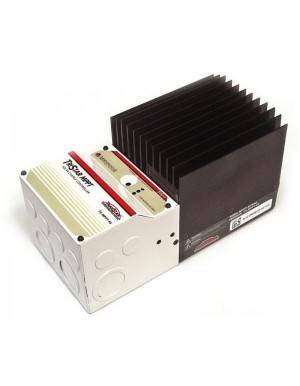 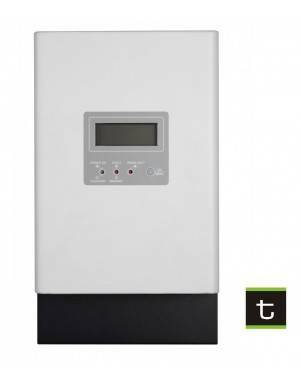 The Steca Solarix MPPT 2010 model allows you to power the batteries with up to 20A of load current and the loads of consumption in DC with up to 10A. 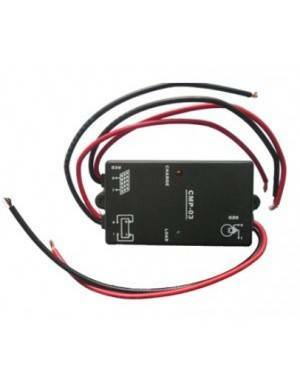 **CAUTION: If an open circuit voltage of more than 75 V or 100 V is supplied to the connected solar module, the controller will be destroyed. 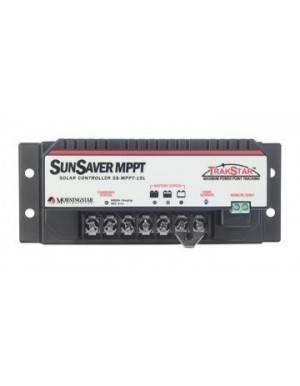 When selecting the solarmodule, it is important to bear in mind that the open circuit voltage should never exceed 75 V or 100 V over the entire working temperature range. 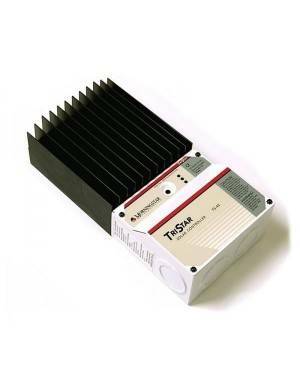 When using solar modules with a maximum open circuit voltage of between 60 and 100 V (over the entire temperature range), all installation steps must be carried in accordance with protection class II.